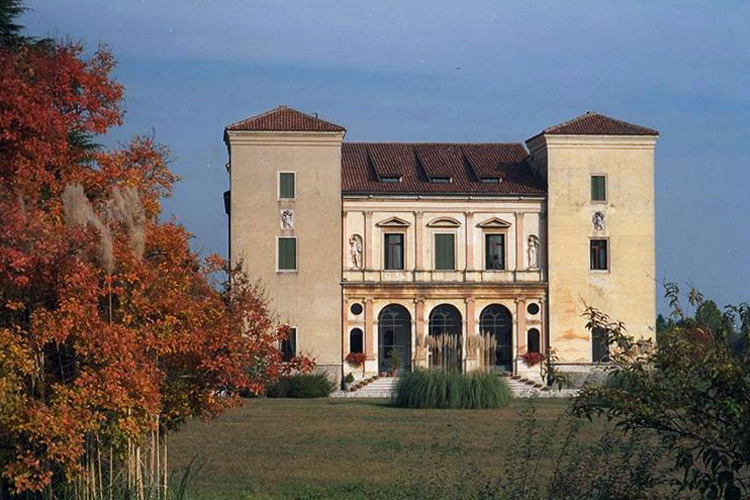 Giangiorgio Trissino dal Vello d’Oro began around 1530 the complete renewing of a gothic building located at Cricoli, in the close outskirts of Vicenza, in order to turn it into an elegant suburban villa. A refined man of letters and keen on classic architecture, Trissino took part in drawing up the project, also by dictating the latin and greek inscriptions which used to decorate the rooms. The result was a villa which perfectly reflected the ideals, personality and culture of its owner. In fact, the architectural choices and the decorations in this villa reveal Trissino’s great admiration for Rome, where he had stayed on several occasions. During his stay, he was fascinated by the traces of the ancient civilisation and by the classic purity of the Renaissance architecture. 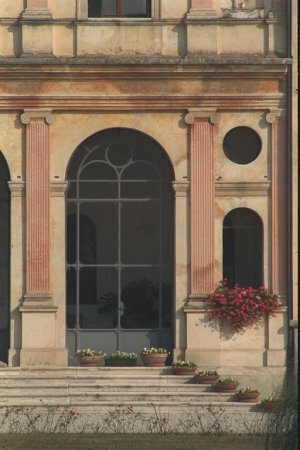 This is why the façade of Villa Cricoli – perfectly symmetrical and with refined polychromies – appears as a re-elaboration of Raffaello’s Villa Madama, with two quadrangular towers that enclose the elegant central body. This house, so imbued with classicism and humanistic culture, was the seat of the Accademia Ocriculana (or Trissiniana) attended by the most important exponents of the cultural life of Vicenza. However, the fame of Villa Cricoli is due to a famous episode handed down by tradition: it whas during the renewing of this villa (which involved a great number of workers) that Trissino met Andrea di Pietro della Gondola, a stonemason in the Pedemuro’s workshop. Some years later, Trissino gave Andrea the humanistic nickname that would become a legend in the history of architecture: Palladio.